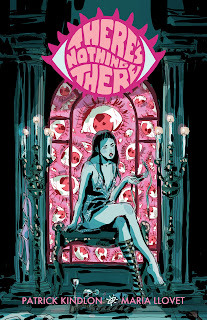 The Fellowship was fortunate enough to obtain a copy of THERE’S NOTHING THERE #1 from Black Mask Studios. Patrick Kindlon writes, Maria Llovet draws and colors, and Jim Campbell letters. Reno is living the celebutante life, complete with wild parties, lots of booze and drugs, and paparazzi lunches. And she’s really good at it. But after this one party something weird starts happening. She starts, well, seeing things. People, mostly. And the weird part is that no one else seems to see them at all. At least not that she knows of. So a young woman starts seeing things. First question is “is it the partying catching up with her or is it supernatural?” And to learn that we’re going to have to keep reading. I love first issues that don’t answer any of its own questions, mainly because of the potential that is left open. Good stories can sometimes take time to build, and the art in this issue lets us see what Reno sees, and it looks really cool. Is Reno crazy? Is she just hung over? Not sure yet, but we’re going to have a lot of fun finding out. And then we’ll get to see how she handles it. I’m in for this one. 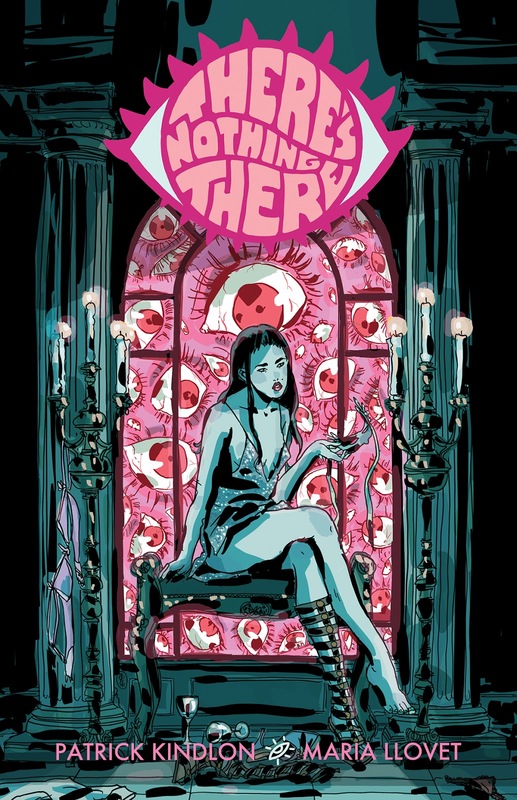 THERE’S NOTHING THERE #1 is available now from your local comic shop, or online at blackmaskstudios.com.